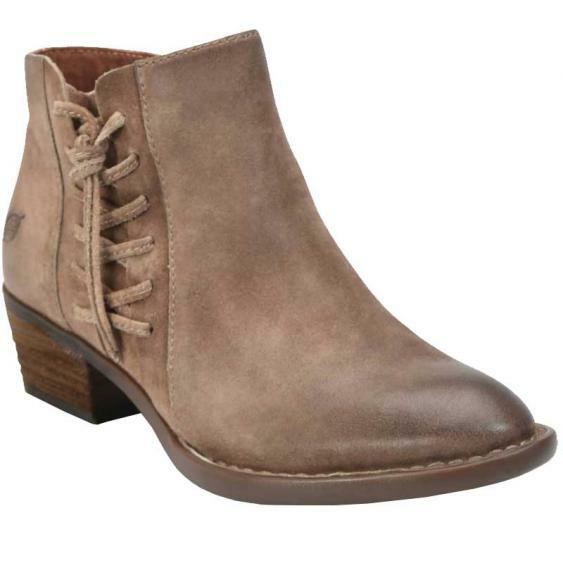 Subtle western flair and Born comfort make the Born Bessie a bootie you’ll reach for from season to season. The upper is made of distressed suede leather and features decorative lacing and a bow. Inside, the microfiber linings helps wick away moisture while the cushioned footbed ensures all day comfort. The Bessie is crafted from Born’s Opanka Constuciton making them flexible while still maintaining durability for long-lasting wear. A side zipper creates on off ease and the steel shank provides lateral stability. The Bessie is finished off with a 1 ½” Leawood-wrapped heel for a boost in height and a textured rubber outsole that will take you from summer to fall with ease.